WTF Is a Cosmic Panda? 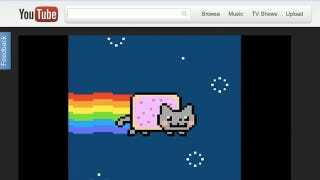 It's not a distant cousin of the Nyan Cat, it's YouTube's friendly new face. Gone is the cluttered look and flashing buttons, instead their new (opt-out-of-able!) interface is clean and pared-down. This is one redesign Twitterites won't protest about.